2016 is almost over! Can you believe it? We hear it all the time, "wow how time flies", but it's actually pretty amazing how fast the days, months and years tend to zoom by us. 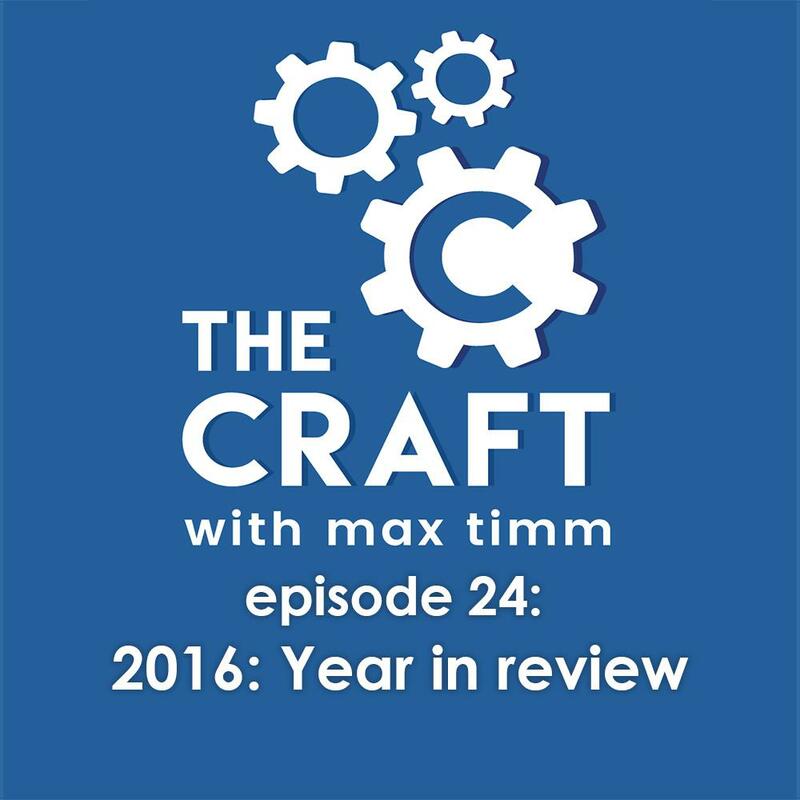 And even though a year in review podcast episode is relatively trite and cliché, I think it's absolutely necessary to take a moment and look back on everything we experienced over the past year. We don't do that enough throughout the year, when we're in the middle of it, experiencing it all and whizzing through life and always looking forward. I personally get so caught up in the planning phases of my life, that I so easily forget everything I've accomplished and, much less, what I'm currently accomplishing and experiencing. Why does it sometimes feel easier to look ahead or gaze longingly at the past? What's wrong with the current moment that keeps us looking elsewhere? And maybe that's a negative way of looking at it. There isn't anything terribly wrong with the current moment, but we do tend to spend more time thinking about the past and future as opposed to just being in the present. We've heard it a thousand times - it's called the present because it is a gift. But, I don't want to start out this episode with too many clichés or platitudes, even though I do tend to love them. So a year in review. First, if you're listening to this in 2017, let us know how things are in the future. Hopefully we have flying cars and the ability to teleport by the time you're listening to this. But yes, I want to take a look back on some of the things I've discussed over the past 12 months. Most of my podcast episodes are so short and quick, that it makes it a bit difficult to really dive in and get to the details of every little piece of information I share and teach. So hopefully this episode helps fit things into place for you regular listeners, and for anyone who is tuning in for the first time, maybe this entices you to go back and listen to previous episodes.